SAVE $4 when you purchase this set of 1 pinecone and 1 cabin towel! The perfect duo this winter season! 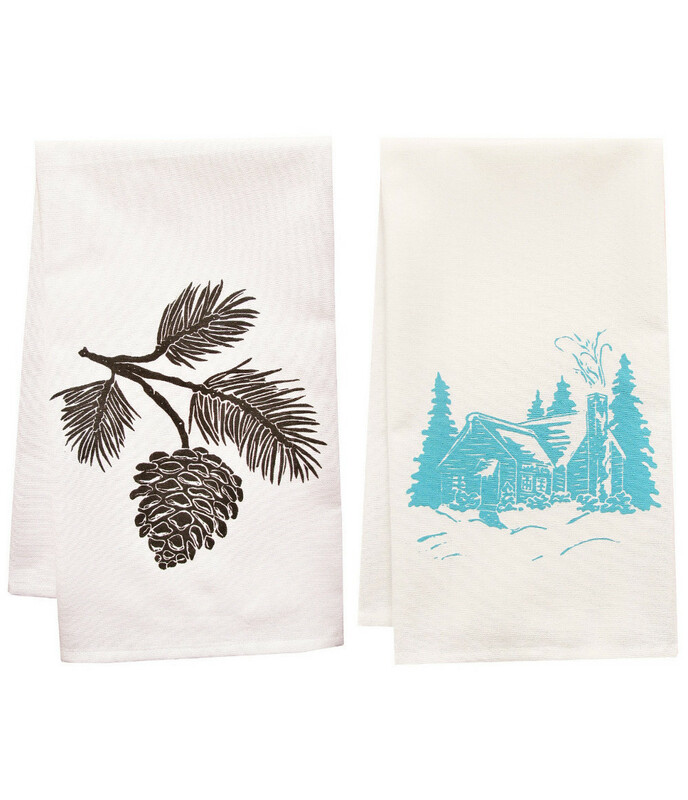 Nab a set for your favorite hostess and be sure to grab a set for yourself too! 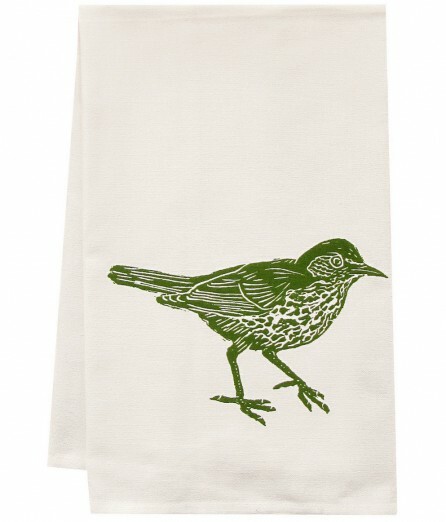 This high quaility 100% certified organic cotton tea towel has been printed with a pattern of my original linocut block prints! It measures 20″x28″. 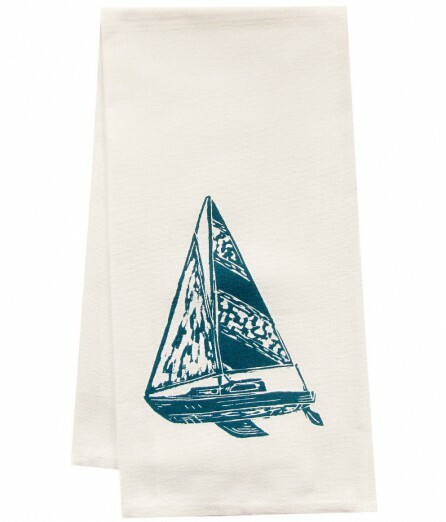 Nice and absorbent for drying dishes, looks great when company is over, and makes a great housewarming gift!